ON SALE and FREE S&H to all 50 states. 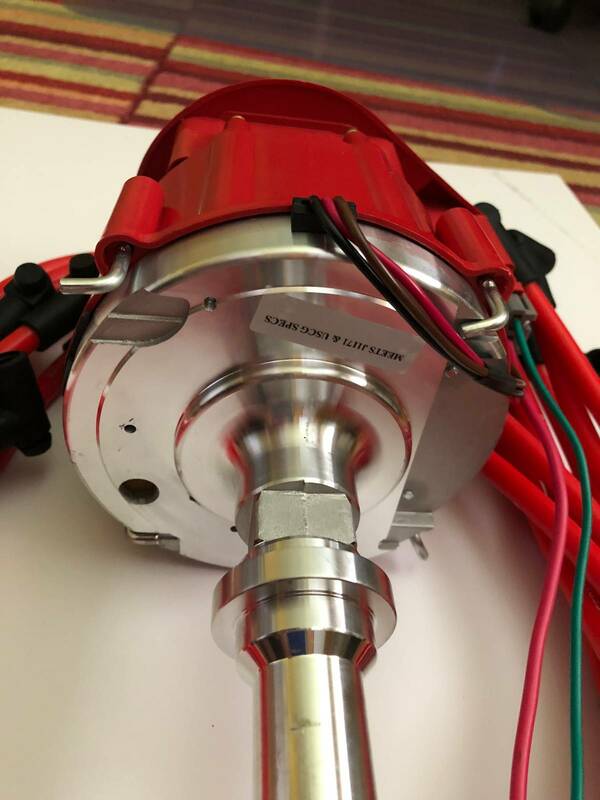 (while on sale) All new for 2019 and clones the High Energy Ignition (HEI) GM made famous for reliability, power and economy, and fitted with our 65000 volt coil and matching electronic performance module. 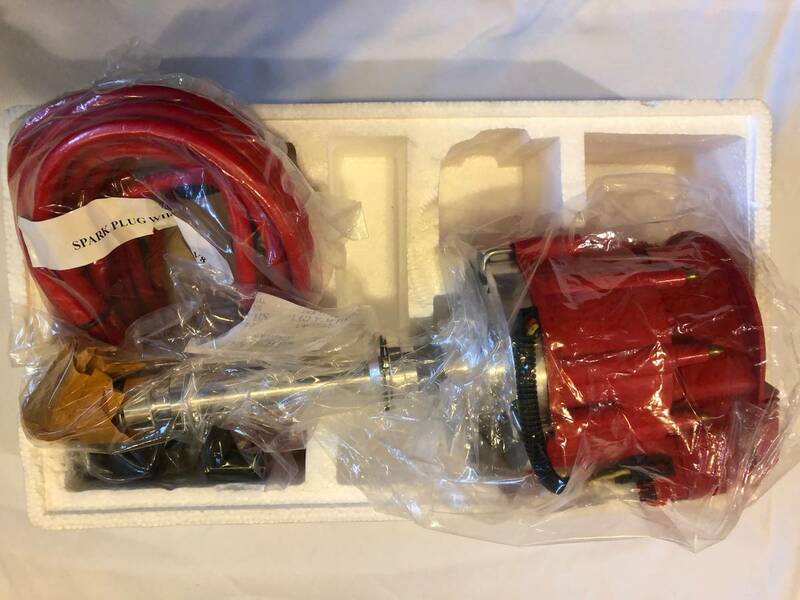 (stock is about 18000 volts when new) Fits 4.3 V6 and 5.0 5.7 7.4 8.2 SBC BBC 283 302 305 307 327 350 383 396 400 427 454 Chev marine based engines such as Volvo Penta, Pleasurecraft, most ChrisCraft, Yanmar and more. (you must specify which with your order V6 or V8) Re-gap your spark plugs to .060 and feel the efficiency gained up to 55 HP. No boxes, coils or anything else needed. (or wanted) Comes complete ready to run. Our motto since 1959, "Engines Love Us" Call 1-877-253-7882 toll-free with any questions. 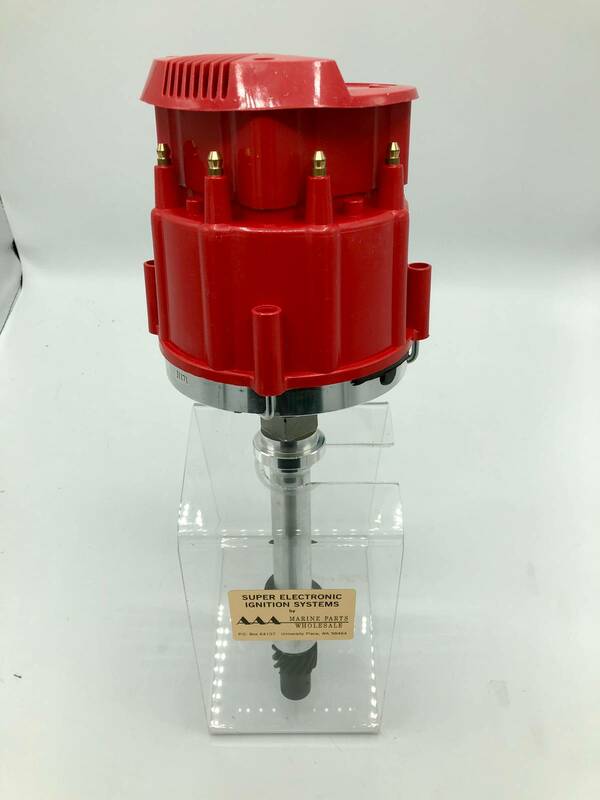 Tired of replacing your expensive and usually non-available OEM parts? Step up to the proven best. One wire to power-up. Your engine needs this. Improves your power and economy through greater engine volumetric efficiency, completely burning your fuel/air mixture. No more black streaks in the water behind your boat when trolling or running slow. 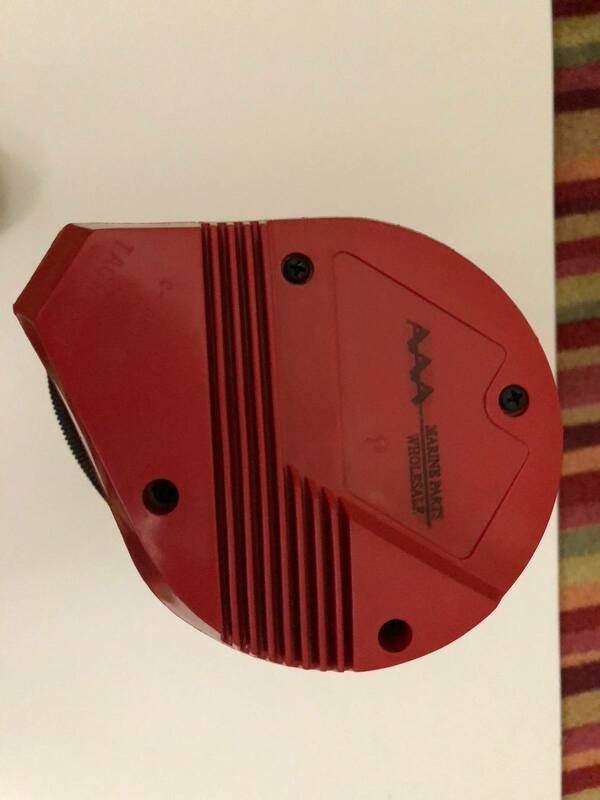 Professionally designed with no vacuum advance for marine use and the void in the highly polished aluminum housing is fitted with our own exclusive custom plug to fill the gap; NOBODY OFFERS THIS AS WE PAY MOST ATTENTION TO DETAILS. Vacuum advance is locked internally. 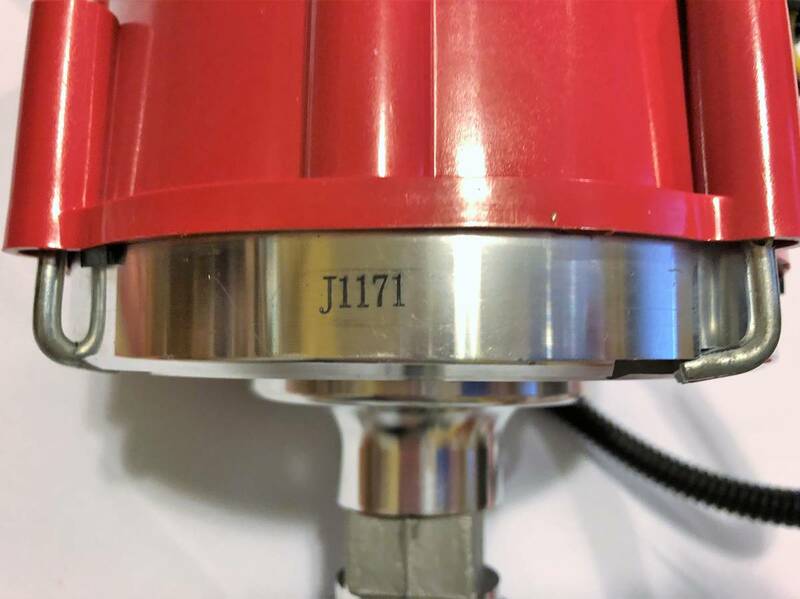 Fitted with a screened 1/2" hole in the base for venting and no extra vents in cap per USCG and SAE J1171 rulings for marine use. Troublesome multi-spark boxes not recommended as they are ineffective at cruising RPMs anyway, and decrease dependability as just another thing to go wrong. FREE S&H to all 50 states too. 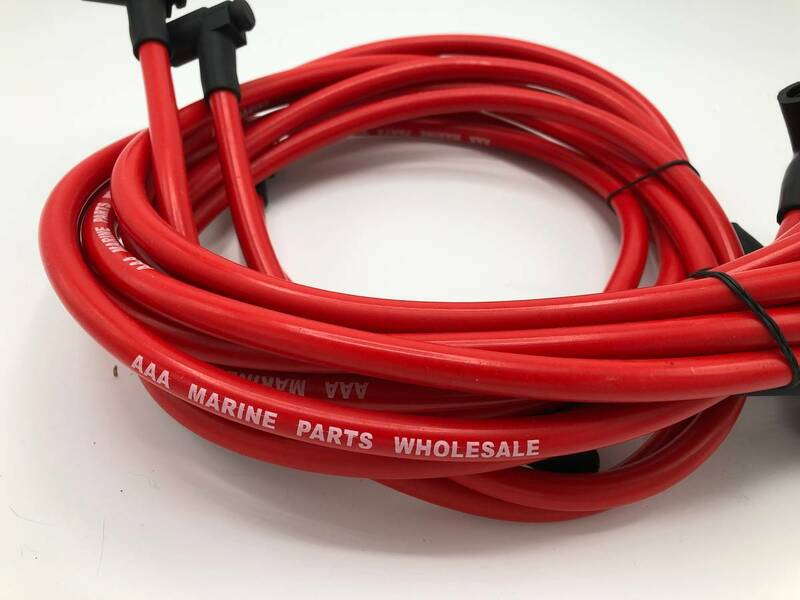 Optional matching red spiral core giant 10.5mm spark plug wires (stock is usually 7mm) with watertight boots and highly recommended, which allows the full energy potential to deliver the entire spark from our specially designed high performance coil and electronic module in the distributor to your spark plugs. Purchasing the combo increases your limited warranty period from 90 days to one year as we know you will be using the distributor to maximum advantage. The 2nd photo shows the comparison of stock wire and ours. 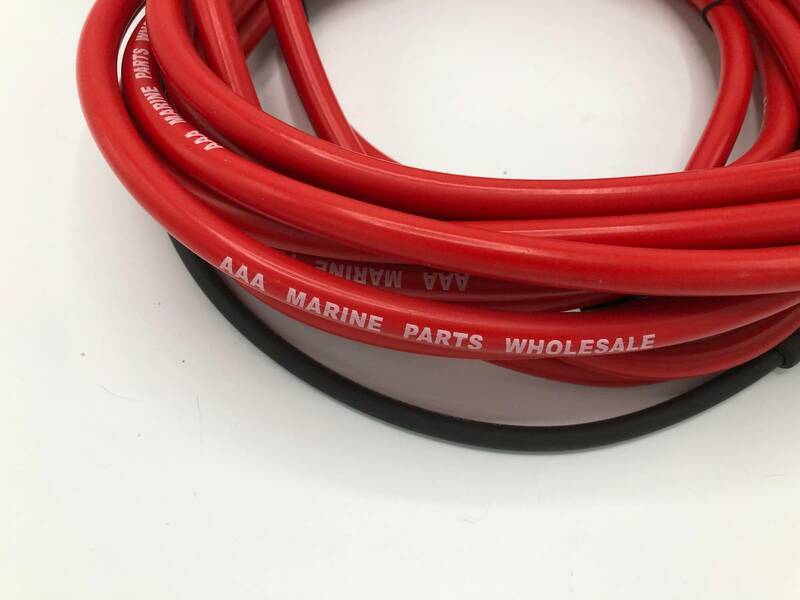 NOTE: If you are using an automotive distributor rather than marine and you forget your drain plug or whatever, your insurance is worthless, let alone USCG inspections and safety from fire and your boat being confiscated by inspectors.